Two soundtracks that to the best of my knowledge were never released on LP, only as EPs. 'Anhonee' is the better of the pair. 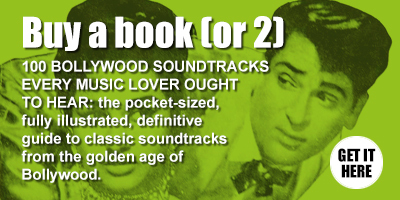 As is kind of expected from Laxmikant Pyarelal the songs are loud and dramatic, if not particularly memorable, most of them. 'Main To Ek Pagal' and 'Budhdhoo Pad Gaya Palle' aren’t bad, at least the instrumental parts, and they might conceivably grow on me over time. 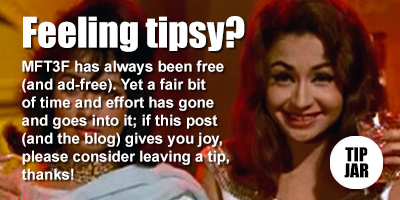 They will however pale drastically against what does in fact make this record essential, Asha Bhosle’s amazing drunk song 'Hangama Ho Gaya'. A fantastic track containing garage punk elements, jazz elements, psych elements… intoxicating, headbanging stuff. Some of you will have heard it on one of MFT3F’s special mixtapes; it was also remade as recently as 2014. Unfortunately I find all of 'Aaj Ka Maratma' somewhat dull. 'Chandni Chand Se Hoti Hai' is OK I guess. It baffles me sometimes that there are so many Laxmikant Pyarelal made between 1972 and 1974 that I love, one fantastic score after another, but after that they only shone intermittently. Or is that just me? Quality Share Bro unmatched one you are only genuine vinyl ripper on net. I dont need flac wave high bitrate etc. until I am getting genuine rip may be 192 KBPS mp3. Wasn't aware it existed on a 45, is it the full 5+ minutes? Yeah I agree electronic processing was annoying, Bollywood and otherwise. I know it's probably doesn't work out quite the same but I always press the mono button on my amp for those records. Yes, full 5+ minutes...the best thing about the SP's (single play) are they are never edited, like the EP tracks often are, and are super loud mono pressings. BOE.2824 is the catalog #. If a song is extra long, many of the SP's do a Part 1/Part 2 on each side, like old James Brown 45's.